Industrial Pavers provide practical and innovative solutions to design challenges associated with commercial hardscapes, along with subtle and operative advantages. 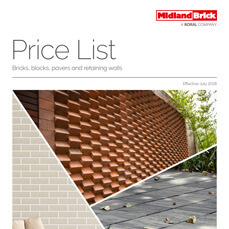 Scroll down to view the various Commercial Pavers available at Midland Brick. 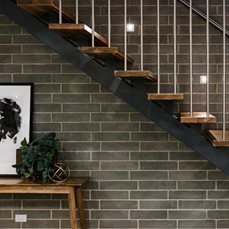 For all enquiries including technical specs, please call us on 13 15 40 or email us at midlandbrick@boral.com.au. 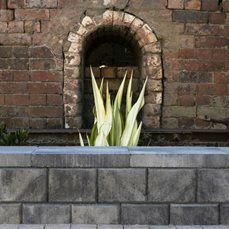 The smooth texture and beveled edge featured in our Pavestone range will add style to any outdoor or commercial area. These traditional rectangular format concrete pavers are available in 60mm and 80mm thickness and are perfect for all applications. 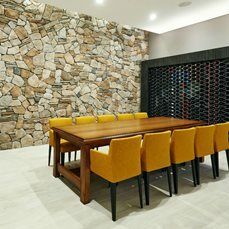 Pavestone is a practical, affordable and versatile choice for any project. Driveways - Light to medium commercial vehicles. Contact us for prices and technical specifications. 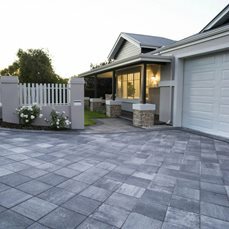 The small rectangular format concrete Coachstone 60mm and 80mm pavers combines the durability of Pavestone Classic with the look of smooth cobblestone-style pavers. Driveways - Light to medium commercial vehicles. Industrial (80mm only) - Heavy traffic areas & vehicles. 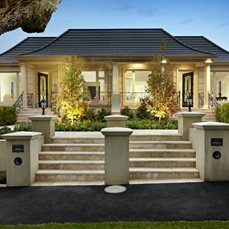 The stylish features of Midland Brick's Intercoach Pave concrete pavers combine the look of angular cobblestone pavers with the properties of the Interpave pavers. The multi-faceted jointing planes of each unit offers resistance to rotational and lateral forces. No chipping and spalling. Available in 60mm and 80mm thickness. The attractive pattern and unique design of the Midland Brick Decopave concrete pavers provides the strength and durability of an interlocking paver while creating a strong visual appeal. The 'hand-thrown' texture of the Roadpave Coach clay pavers adds rich character and unique charm to any project. Made to order - subject to quantity. Golden Dune Coach, Grey Coach, Red Coach, Sentosa Coach, Terracotta Coach & Traditional Coach. 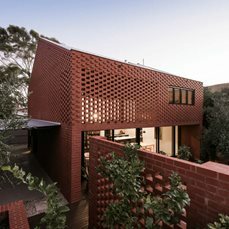 Midland Brick Tactile pavers provide 'Safety at Touch' for the vision impaired. Available as 400x400x60mm and in various colours.